SKYNEWS Magazine Picture of the Week. 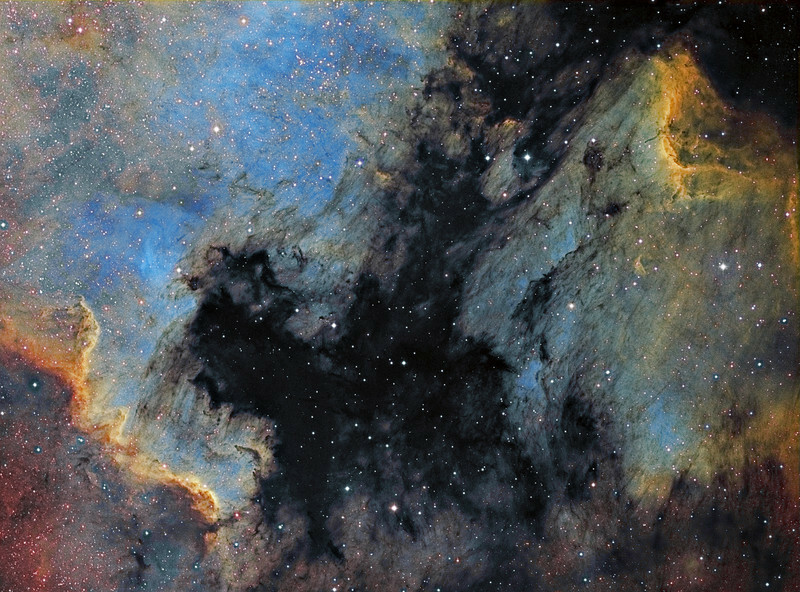 IC 5070 and NGC 7000 (Pelican and North American nebula) ...SII/Ha/OIII for RGB. NP 101is and FLI ML 8300 camera. Taken in August 2010 by Lynn Hilborn, WhistleStop Observatory, Grafton, Ontario.